I was thrilled when the sellers accepted my offer on a tear-down lot in McLean, VA, the perfect place to build my own “Downton Abbey”–style manor. And the deal went forward without a hitch—that is, until closing day. Soon after I arrived at the title company’s office on the big day, my real estate agent sheepishly handed me a set of 40-year-old covenants that restricted what I could build on the site. Looking back, I know that I should have smiled politely at the six people gathered and suggested we reconvene later after I’d studied this giant wrench in my plans. But I didn’t want to inconvenience everyone, so I closed the deal. It was an agita-inducing mistake. Even though those covenants didn’t derail my dream home’s construction, they caused me constant anxiety. This is not just a concern for those building a home from scratch: For many home buyers, closing day is daunting, and coping with last-minute surprises can be tricky. Some problems are minor and easy to solve; others can wreck a deal. So which are which? Let’s take a look. 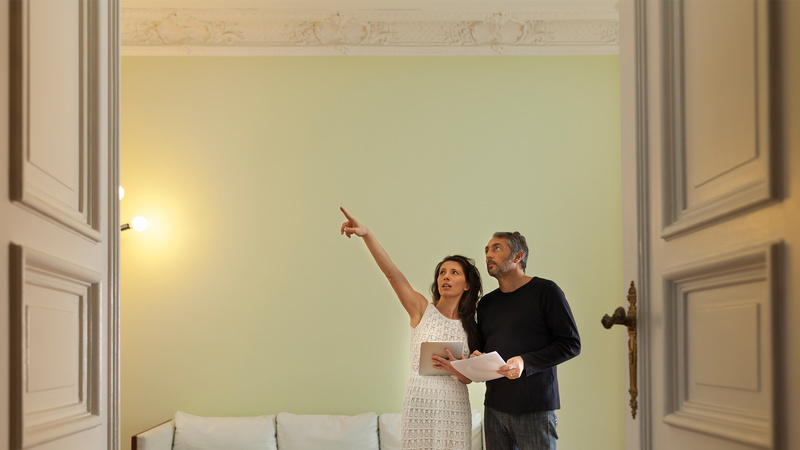 The dreaded walk-through is the top reason for surprises on closing day, and for good reason: This final inspection of the home happens the day before your settlement—or even the morning of—so there’s little time to prepare for whatever problems might pop up. Who knows? A sudden storm could have poured water into the basement, or now that the furniture is all gone, cracks in walls or other flaws may be exposed. How bad is it? If the problem is serious, like flooding, you should definitely proceed with caution. To avoid this snafu, make sure to inspect a home as thoroughly as possible before your final walk-through to avoid last-minute surprises. Don’t be shy about asking for another look-see after a big storm to vet for dampness or flooding. But a last-minute discovery of a problem is not necessarily a deal breaker. Just ask the seller to cover the cost of those repairs, and put the funds in escrow. Be sure to come with estimates from professionals on how much those fix-its will cost. Another common issue that crops up during the walk-through is misunderstandings about which items get transferred with the sale. For instance, maybe you loved the seller’s antique stove, ceiling fan, or other household item and assumed it would stay—but you find out the sellers took it with them. How bad is it? Unless you’re really attached to the item, you may want to let this one slide if you want this deal to go through. The easiest way to avoid these misunderstandings is to delineate in a contract what remains in the house or must be moved out, says Ben Niernberg, executive vice president of business development at Northbrook, IL–basedProper Title, LLC. “Be very detailed on what’s staying and going,” he says. “Washer, dryer, ceiling fans, fixtures, appliances—be diligent during your initial inspection.” Also, make sure the contract reflects your expectations. Even though you were probably approved for a mortgage a month or so earlier, even small changes in your financial picture since then can affect your credit score and create problems up to the moment you close on the property. Changing jobs, applying for a credit card, falling behind in paying bills, even sudden infusions of cash can red-flag your deal. How bad is it? Pretty bad. If a lender withdraws the offer, you won’t be able to close until you secure another mortgage, which could take weeks. Or, if the lender wants to increase your interest rate, as it usually does in these situations, then you’ll have to decide if you can still afford the purchase. To head this issue off at the pass, contact your lender the day before closing to discuss and solve any issues that may have turned up. Also, try to avoid making any sudden financial moves in the weeks leading up to the close, like quitting your job or receiving a $10,000 “gift” from a family member to help out with home buying—that could, ironically, throw a wrench into the process. On closing day, the chief order of business is to transfer funds. Some financial institutions and title companies prefer cashier’s or certified checks; others want funds to be transferred electronically. Show up with the wrong paperwork or account numbers, and you’ll be left scrambling. How bad is it? This misunderstanding should be nothing more than a speed bump. To avoid it, ask your agent and lender before closing what form of payment is required. Also bring your checkbook to pay for small items that might crop up, like an unpaid electric bill. A title company—which confirms details about your property such as past ownership, liens, and the aforementioned covenants—could bring up issues on closing day. If that happens to you, don’t be afraid to step back and insist on taking time to digest any details, problems, or stipulations attached to the property. How bad is it? It depends on what the search turns up. Some problems, like tax liens or a claim on the property from a relative or co-owner, can postpone a closing. Other things, like the covenants I mentioned above, or unpaid HOA dues, may be surprises but not deal breakers. But any and all title defects must be fixed before you can close on the property. It may be frustrating, but when you leap into homeownership, it’s always better to be safe than sorry. Lisa Kaplan Gordon is an award-winning freelancer who’s written about real estate and home improvement for realtor.com, Yahoo, AOL, Popular Mechanics, and HouseLogic. When she’s not writing, Lisa’s fly-fishing for trout on catch-and-release streams.